Artist’s conception of the Envisat satellite (Credits: ESA). The European Space Agency lost contact with Envisat, an 8.5 tons remote sensing satellite flying in a 790 km high Sun synchronous polar orbit. “Our failure review board has been meeting many times since Sunday [April 8]”, said Volker Liebig, ESA’s Earth observation director, “we are trying to re-establish contact and in parallel to collect more data on the satellite’s status.” According to Liebig, a likely cause of the communication loss is a data-handling power supply failure followed by a depletion of batteries. The contact was lost on April 8, while the satellite was passing over the Kiruna ground station in Sweden. Mission control declared a spacecraft emergency, and assembled a team of operations and flight dynamics specialists and engineers to try to reestablish contact with the satellite from various ESA tracking stations around the world. U.S. Air Force Joint Space Operation Center is providing updated satellite positioning data. So far, the efforts to resume contact with the satellite have not been successful. An anomaly review board is investigating the cause for the break in communications. Envisat collision avoidance manoucers (Source: ESA). Given its mass and orbit, Envisat represents a major orbital debris threat. The Sun synchronous polar orbit is in fact one of the most crowded, and because of its relatively high altitude, it does not clean up as rapidly as lower orbits. After the February 2009 Cosmos-Iridium collision, the risk of collision in polar orbit has increased significantly. Space debris mitigation measure usually require lowering the orbit of a decommissioned satellite so that it will naturally decay in 25 years or less. The ERS-2 satellite, for example, which operated in a 800 km orbit, was placed into a 570 km altitude at the end of life. Just in 2010, Envisat received over 50 collision warning, which resulted into 4 collision avoidance maneuvers. If the satellite remains inert, it will take up to 150 years for its orbit to decay naturally, with no possibility of performing collision avoidance maneuvers. According to ESA officials, there up to 30% chance of collision between Envisat and other orbital debris over this time. 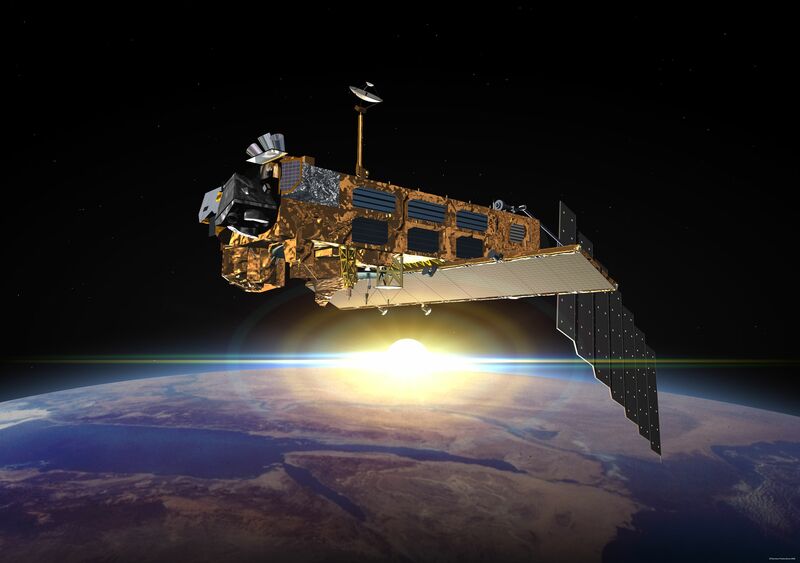 Envisat is considered the world’s most complex Earth observation satellite, carrying 10 sophisticated instruments to observe land, oceans, ice and atmosphere. Launched in 2002 with a planned life of just 5 years, the satellite has remained operational for more then 10. Along with ERS 1 and 2, Envisat supported more than 4000 projects in over 70 countries, providing precise measurements on phenomenon such as climate change. ESA was planning to extend the life of Envisat until 2013, when the new Sentinel-1 spacecraft is expected to be launched. “The interruption of the Envisat service shows that the launch of the GMES Sentinel satellites, which are planned to replace Envisat, becomes urgent,” said Liebig in that regards. In the video below, an ESA documentary on Envisat.